The fresh and witty interiors of my great friend Ben Dhong reflect the best of today’s design. 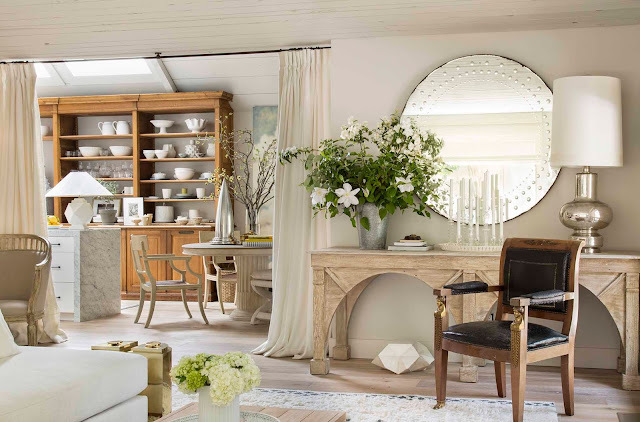 Airy, unpretentious, welcoming and chic, his work has a light touch that’s very modern and classical. Come with me this week to visit Ben’s newest work—and see highlights and favorites and his ‘greatest hits’. To love: Ben’s highly refined color sense, his passion for glossy white, his warm and sensual textures, and his marked enthusiasm for variations on a theme. Bravo, Ben. 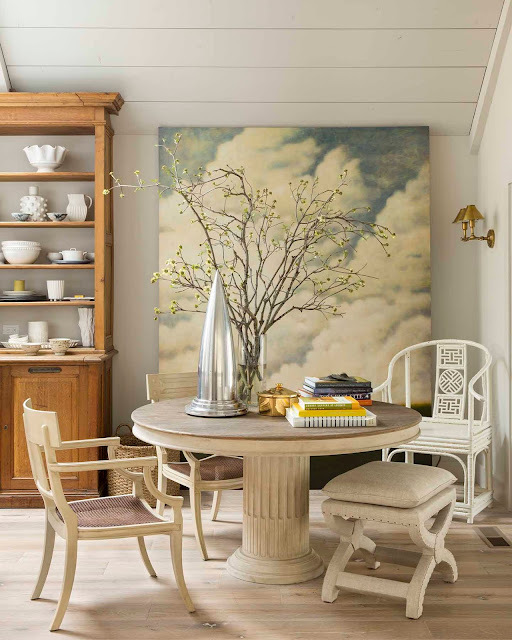 House Beautiful editors Sophie Donelson and Loretta Sperduto loved Ben’s dining room at his Healdsburg country house that they featured it on a recent cover. The combination of chairs, painted white, and Wade Hoefer’s airborne painting, is mesmerizing and inspiring. San Francisco interior designer Benjamin Dhong wields color judiciously. Clients love the tranquility and harmony of his décor. And some clients want high wattage, urging the designer to use color boldly and dramatically. With a portfolio of clients from San Francisco to Woodside and Los Angeles, and further afield to Sonoma County and Manhattan, the versatile designer creates fine-tuned décor that is custom, functional and immensely pleasing to the eye. Just don’t limit his imagination. 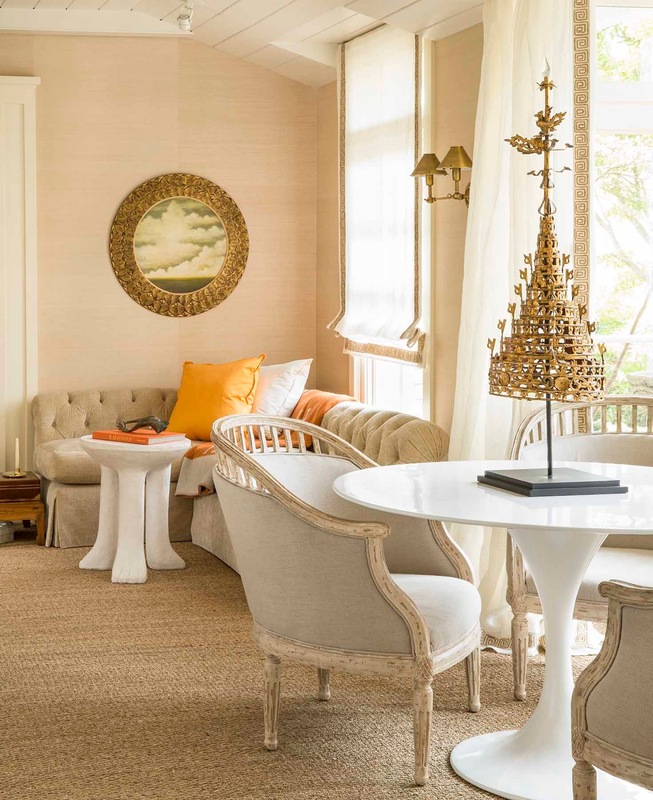 His clients, who range from Silicon Valley tech families to worldly bachelors and cosmopolitan Realtors and artists and city philanthropists, all like working with him so much they acquire country retreats or city apartments and new houses so that they will continue their happy collaboration with the designer. Dhong founded his firm, Benjamin Dhong Interiors, eleven years ago. 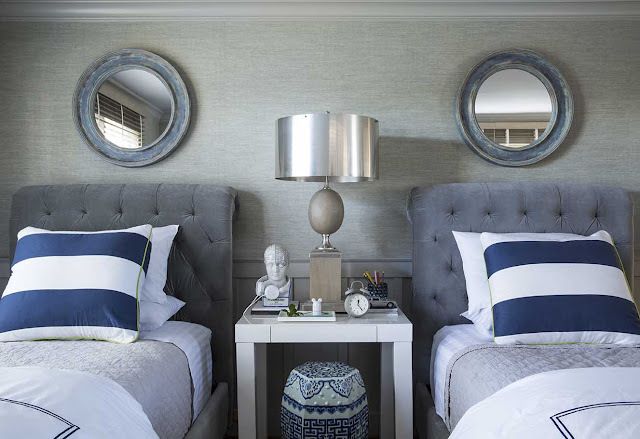 For a young Pacific Heights family, Dhong recently completed light-hearted décor with carefully calibrated neutral tones and just enough color punch of pale blues and greens to keep it fresh and modern. 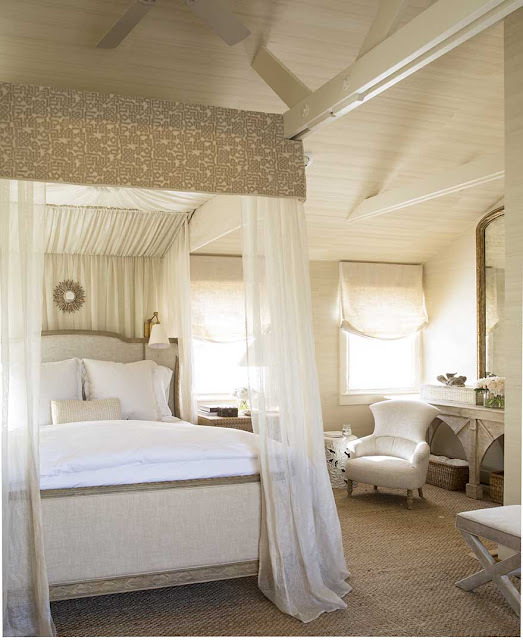 “I love to start with interesting neutrals and will always use them. However a dash of color is as important to increase the level of emotion and energy. But sometimes just a jolt of color will do,” said the designer. “I never want to see what I call ‘color whiplash’ when an over-enthusiastic designer has painted every room a different color,” said Dhong. And lavish use of a favorite color like shocking pink or intense marine blue for the walls of a child’s room may be too intense over time. He proposes instead a dash of pink on a floral slipcover for a headboard (easily changed) or blue and white ticking striped curtains or pillows. Dhong is especially adept at mixing textures of antique fabrics, custom-crafted carpets, and tactile materials like oxidized bronze or statuary marble. In an urban setting, for a study and bedroom, he orchestrated a moody mix of textures, including printed linen pillows on natural canvas upholstery, Egyptian cotton sheets, a zinc table, silk pillows, and Donald Kaufman wall paint, all in soft neutral tones. “I love the contrast of the linearity of the Agnes Martin prints with the Gothic spire, and then the sleek and spiky modern Tizio lamp,” he said. The zinc side table and bed frame were from Crate & Barrel. The versatile white desk and the curtains were from RH. Black and white photographs of architecture were by Christopher Flach Photography. 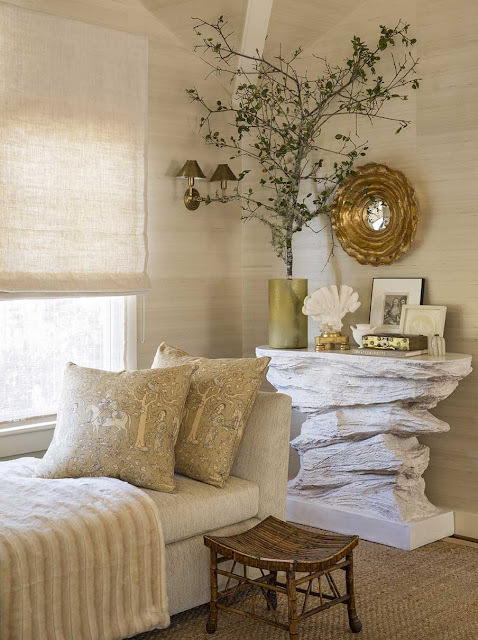 The contrasting glimmer of gold picture frames, mercury glass vases, and a polished silver tray add sparkle but Dhong kept the effect quite restrained. Custom sofas and upholstered chairs add volume to the mix, and an antique ottoman, found on eBay, was reupholstered in zebra print linen. 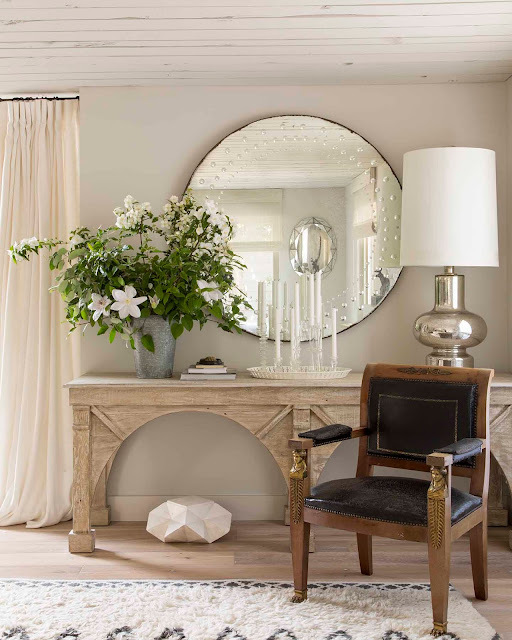 The starburst mirror from designer Candace Barnes added brilliance to the setting. 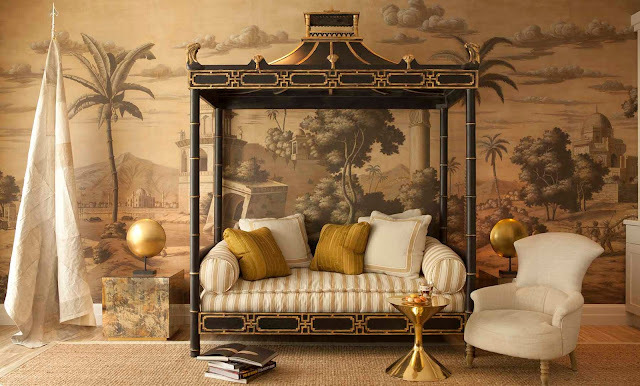 The handsome and atmospheric custom designed Indo-Chinese mural is by de Gournay, who are about to open a glamorous new studio/showroom/garden in San Francisco. The artist in Dhong sees furniture as sculpture. “The distinct dialog created between antique and modern can be exquisite. The modern pieces bring a new angle on an antique, and a vintage object can bring gravitas and soul into a sleek room. It’s a great marriage,” he said. Dhong highlights the need for balance in design. Dhong’s approach—his clients applaud—is that not every item in a room has to be virtuoso. 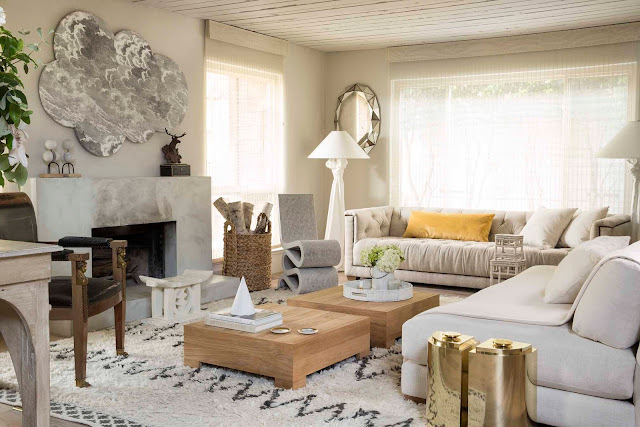 Some pieces—a coffee table from RH, or a console from West Elm, perhaps a plain jute carpet, a bleached wood console table, a flea market treasure, a handcrafted basket, an ivory cashmere throw—can be quite understated. Simple pieces are functional and leave the glory to antiques, eccentric sculptures, or antique textiles. All photography by Lisa Romerein, used with express permission. 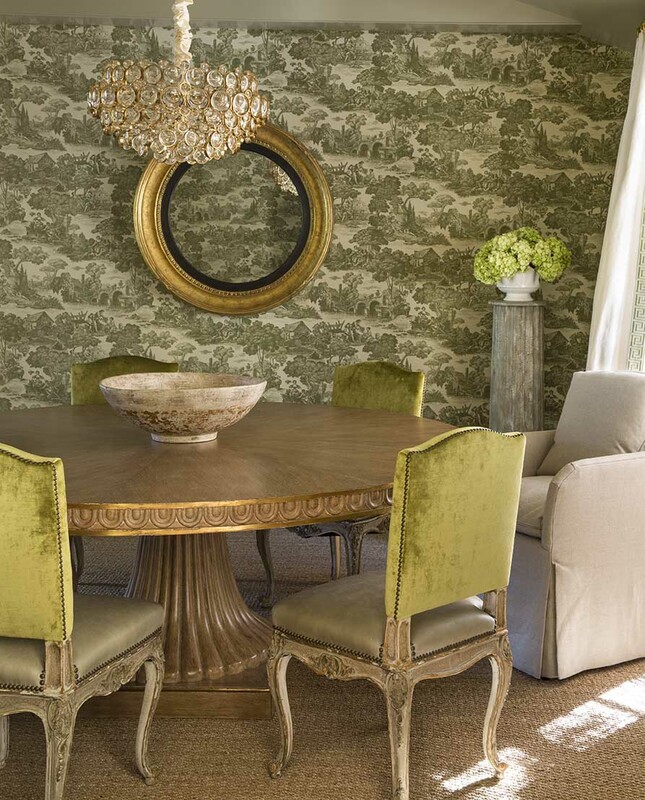 Special thanks to House Beautiful Interiors Editor, Doretta Sperduto, a long-time friend and a superb stylist, the best.